Why Is Teaching Reading Important? 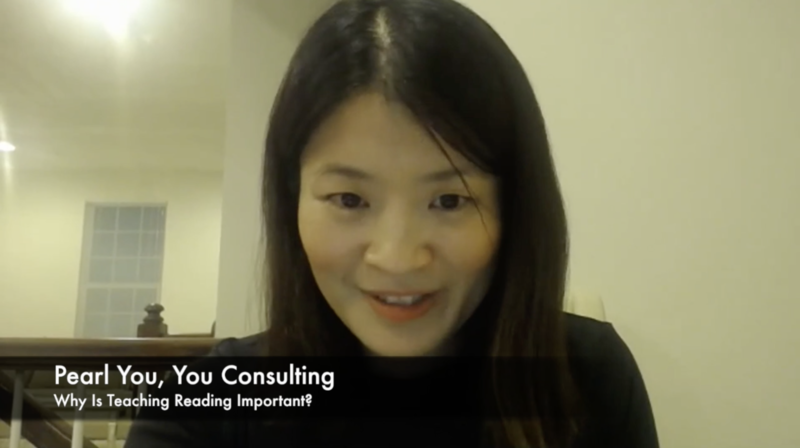 In this webinar, Pearl facilitates the discussion with teachers from various Chinese programs all around the world on why and how to engage students in acquiring language through reading instruction. She models how to skillfully prompt students to think through reading as well as create opportunities for students to naturally practice interpersonal mode of speaking linking to the reading material. She also demonstrates how to adapt and prepare appropriate reading material for teaching reading if teachers do not have ready-made resources. 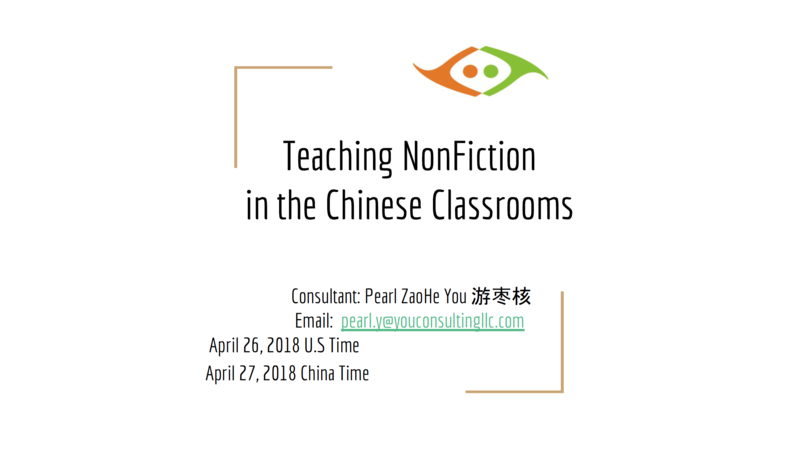 In this webinar, Pearl discusses with teachers and administrators from various Chinese programs all over the world on the importance of planning and implementing nonfiction reading instruction in the daily classrooms. She models how to plan and deliver fun and interactive nonfiction reading lesson by using new Level Chinese nonfiction book and engage educators to reflect and share best practice in their respective language programs. 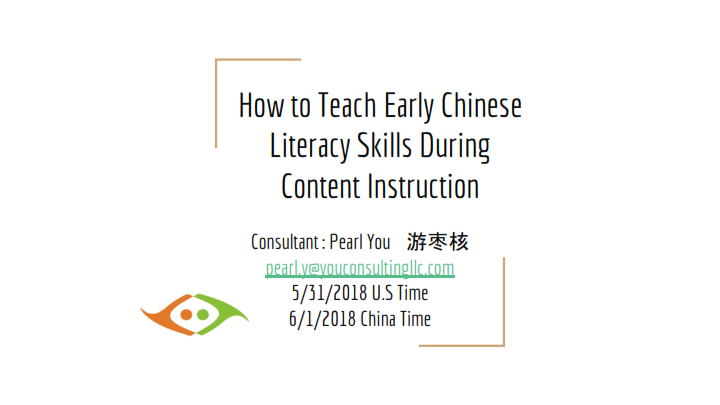 In this webinar, Pearl discusses with teachers from various Chinese programs on the importance of planning and teaching early literacy skills within content instruction. She models how to plan and map early literacy skills into spring project units and lesson plans in K and 1st Grade from Yu Ming Charter School in California. She uses one of the Level Chinese early literacy books as instructional material and creatively models interactive read aloud to support students with understanding radical meaning and developing the radical concept in verbs introduced in Level B book. She also engages participants to discuss the demo lesson and share what strategies they can adapt to their own context.